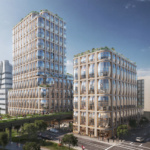 Three of Heatherwick Studio’s monumental projects are taking shape along Manhattan’s High Line, part of the transformation of the Meatpacking neighborhood from a gritty industrial landscape to a playground for the ultra-wealthy. From Hudson Yards at the elevated park’s northern-most tip, to the manmade island taking shape on the coast off of 15th Street, AN recently checked in on the status of the London studio’s rapidly rising projects. 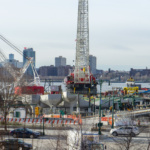 Pier 55 seemed like it was on the verge of financial collapse just a year ago, as the cost of the Barry Diller–backed project rose to $250 million and the nonprofit Hudson River Park Trust was buffeted by lawsuits. 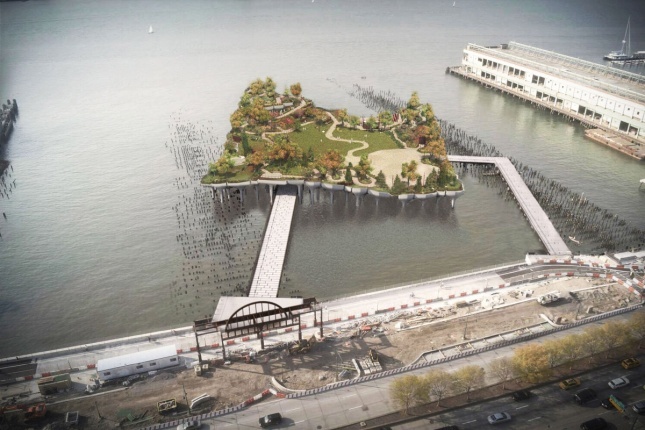 Diller withdrew his support of the 2.75-acre pocket park in the Hudson, and the floating island, supported by sculpted concrete piers, looked like it was never going to happen. 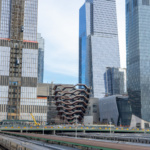 Then, thanks to Governor Cuomo stepping in at the last minute to mediate between billionaire Douglas Durst, the City Club of New York, and Diller, the project was declared back on. 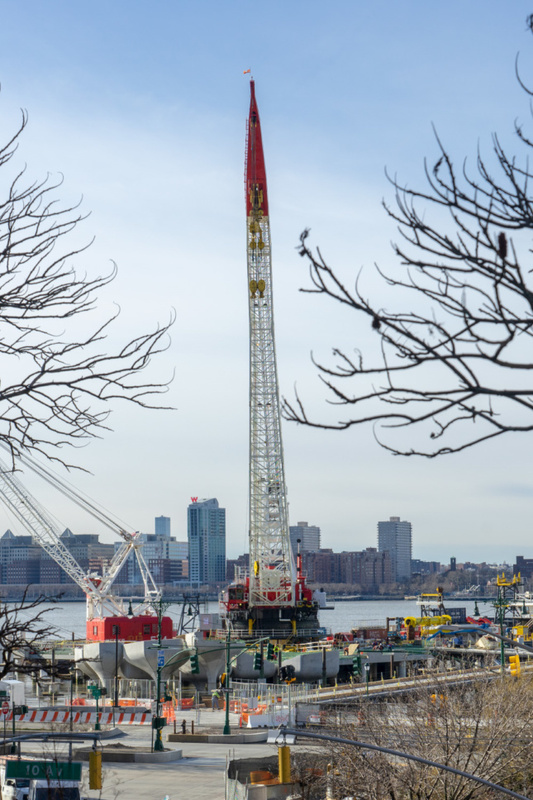 When AN last toured the site in April of 2018, piles were being driven into the Hudson’s riverbed for the two walkways that would lead to the park. Now, at the start of 2019, it appears that construction is picking up steam. 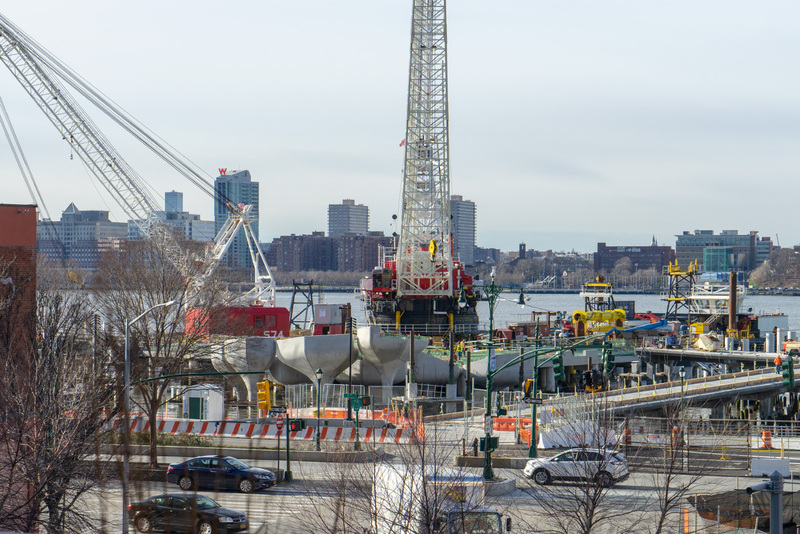 Most, if not all, of the piers appear to be in place, and the 132 sculptural, wave-like concrete caps are being installed. Each of the “pots” was fabricated in Upstate New York from custom foam molds and it’s expected that they’ll be fully installed in March 2020. The installation is on hold for the winter and should begin again in May of this year. Mathews Nielsen Landscape Architects will be handling the landscape design proper, and the park is expected to open in early 2021. Once complete, Pier 55 will include an amphitheater and two landscaped staging areas. 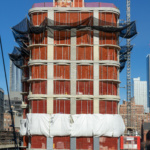 Further north on 18th Street, the first tower of the two-pronged 515 West 18th Street has already topped out. The 425,000-square-foot development was only first revealed in January 2018 thanks to a video aimed at luring foreign investors, but the project has already made considerable progress in a year. The split project drew polarizing reactions for its bulging, barrel-like bay windows, which almost seem to be inflated from the inside. 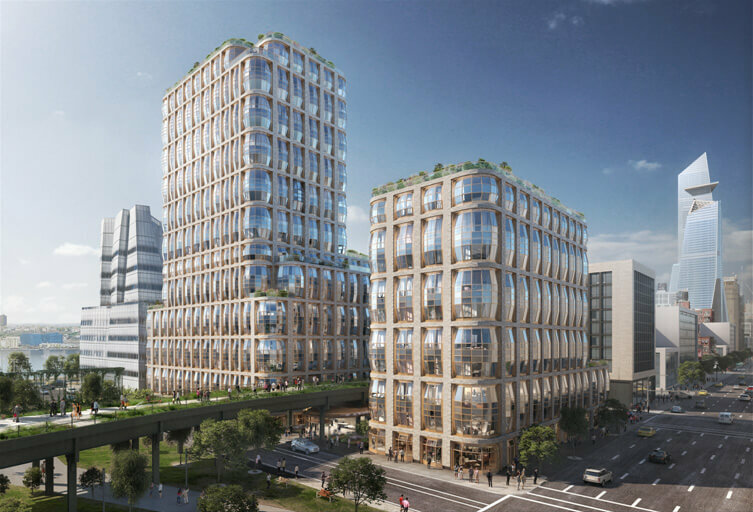 The two towers (connected via a single-story annex under the High Line) are expected to bring 181 condos to the neighborhood. 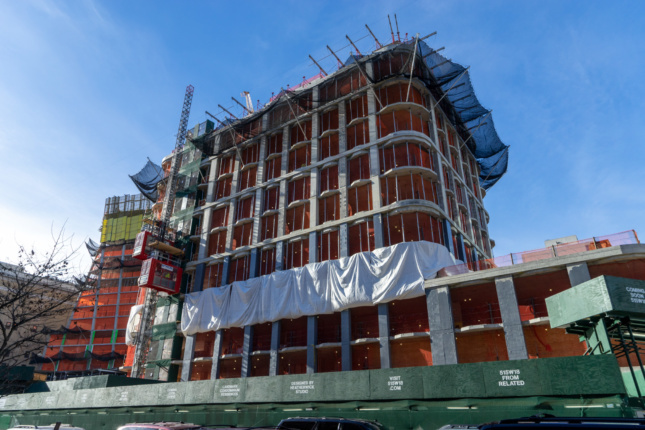 The 10-story tower on the eastern half of the High Line has topped out as of January 2019, and the western tower, which will reach 22 stories so that residents can catch views across the Hudson River, is already above ground. 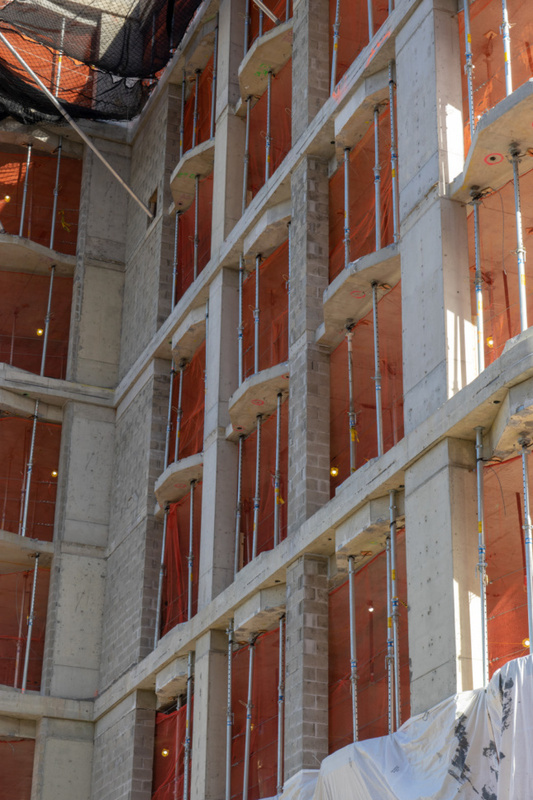 It’s likely the condos in the finished development will be pricey, as developer Related Companies has promised high-end interiors, plenty of amenities, and 175 parking spots. 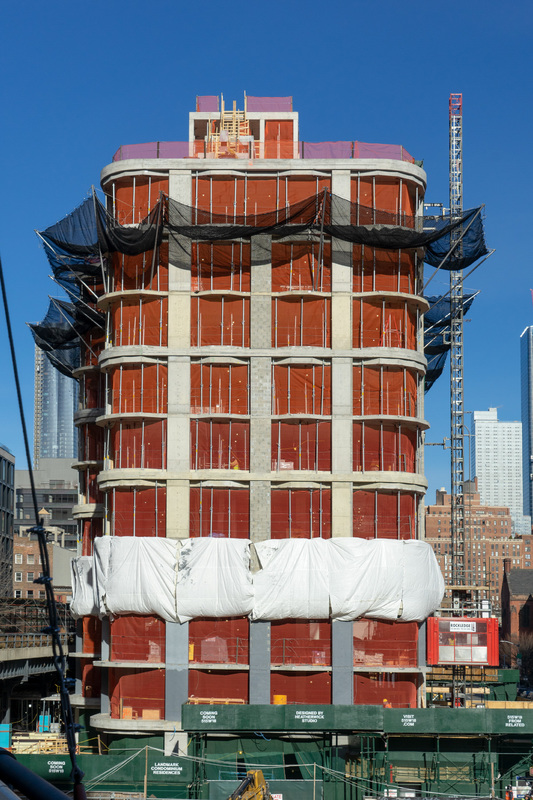 Coincidentally enough, Thomas Heatherwick’s High Line–straddling project is going up right next to BIG’s; on the southern side of 18th street is the XI, the Bjarke Ingels Group’s pair of twisting, travertine-clad towers. 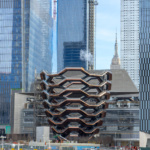 Once complete sometime in mid-2020, Heatherwick’s bulging towers will sit comfortably between the Gehry-design IAC building to the west, and venerable performing arts space the Kitchen to the north. 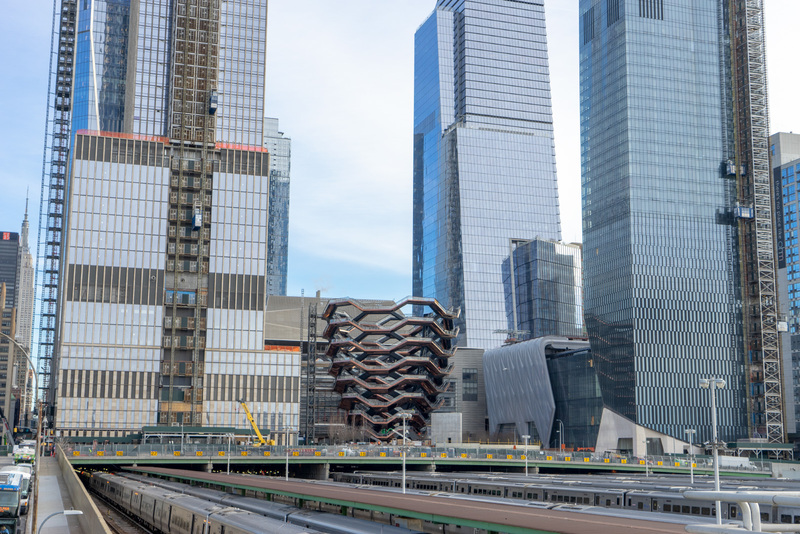 At the High Line’s northern terminus, looming over the entire park is the glass-heavy presence of Hudson Yards. 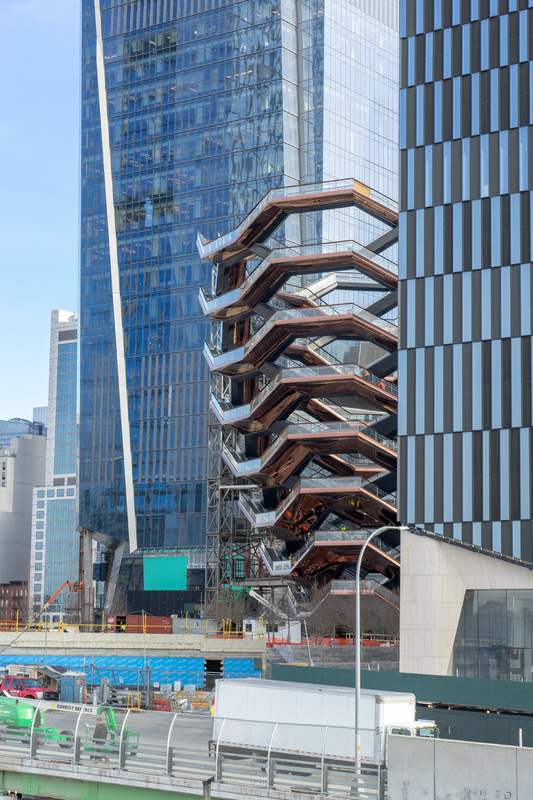 At the center of this massive public-private development is the Vessel, Thomas Heatherwick’s $150 million, 150-foot-tall, bronzed-steel-and-concrete staircase sculpture. Completely climbable (an elevator will also be included for those unable to take the stairs), the Vessel features over 154 flights of stairs, 80 landings, and over 2,400 treads. The installation expands as it rises, going from a 50-foot-wide footprint at the base to a 150-foot-wide diameter at the top. 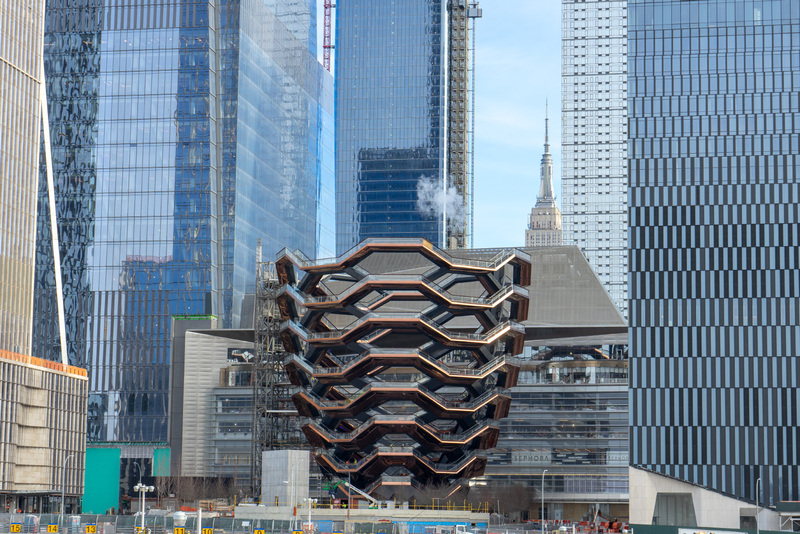 Once at the top, visitors can expect unobstructed views across the Hudson River, down the city, and of the surrounding Hudson Yards neighborhood. The piece was prefabricated in 75 large parts in Italy, then assembled on site, with the last segment installed in December of 2017. When AN visited the site last, construction workers were busy putting the finishing touches on the sculpture’s rails and lights. 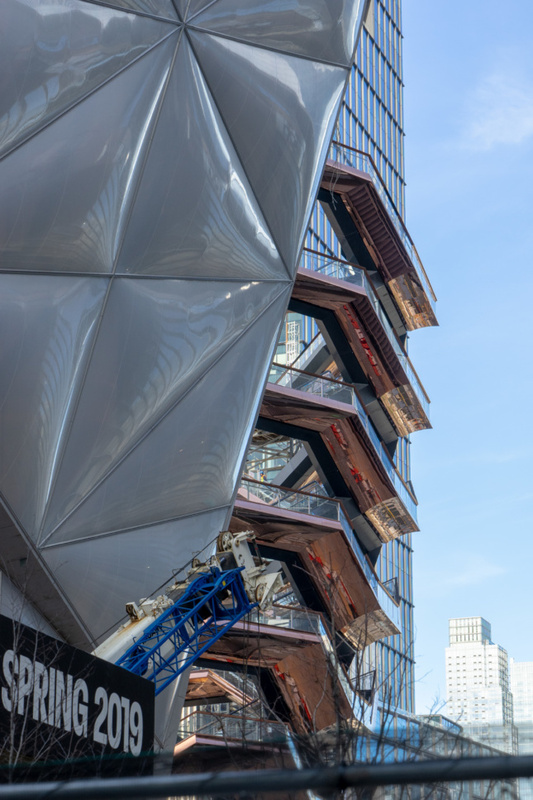 Phase one of Hudson Yards, which includes the Vessel and the development’s five-acre public plaza in which it sits, is expected to open to the public on March 15 of this year.